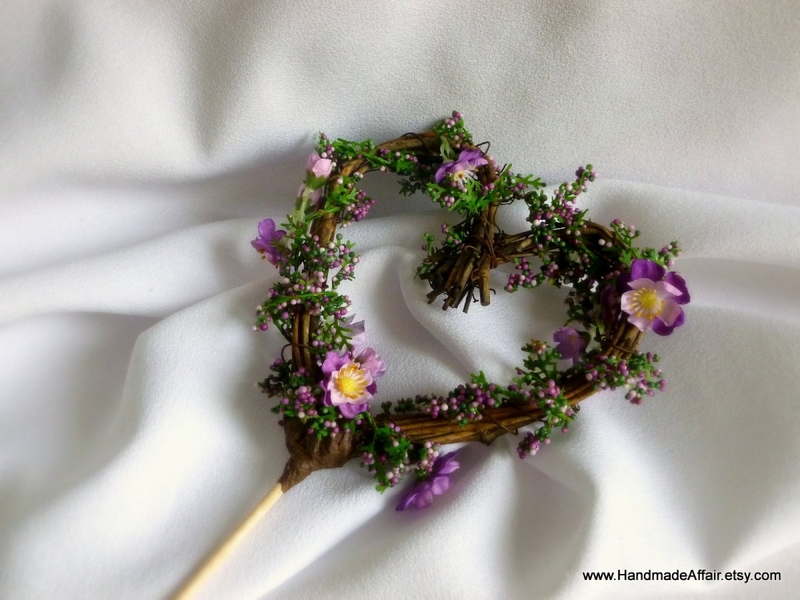 This new version to my rustic vine heart cake toppers is decked in a beautiful array of flowers and leaves in shades of purples and greens. 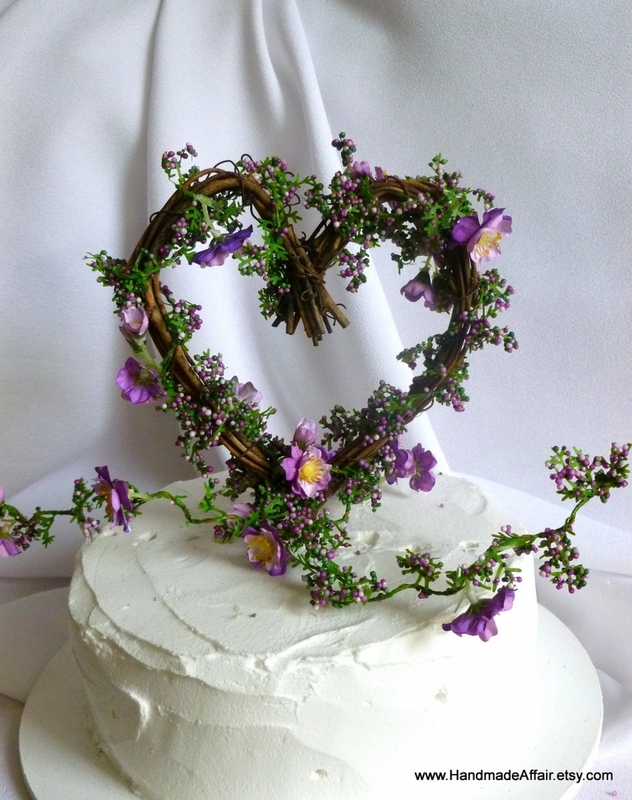 A floral cake topper is great for your fall wedding. Made to order from grapevine and artificial colored blooms, it is approximately 4 inches in width and perfect for a 6 inch or smaller cake. Comes with a wooden dowel for insertion into your cake. Measures approximately 4 inches at width and length of heart and about 8 inches in TOTAL length including stem. Please message me if you need shorter or longer.